As a strict constructionist of the US Constitution, supporting only those powers specifically granted by the document, Thomas Jefferson questioned his executive authority to purchase the Louisiana Territory from France. However, the economic and national security benefits offered by the Louisiana Purchase to the fledgling nation outweighed the potential political risks of the land deal. Find more correspondence at Founders Online from the National Archives. In this lesson students will analyze a private letter that President Thomas Jefferson (1743–1826) sent to Robert Livingston (1746–1813), his minister plenipotentiary (ambassador) to France, regarding the negotiations for what would become the Louisiana Purchase. Livingston and James Monroe (1758–1831, 6th president of the US) negotiated the Louisiana Purchase Treaty. It is important to note that at the time this letter was written — April 18, 1802 — the area had not yet been offered for sale. In this letter Jefferson, unaware of the possibility of outright purchase, focuses upon retaining commercial access to the Mississippi River and rights of deposit (economic access) in New Orleans. He also comments upon the danger of an aggressive France locating outposts just across the Mississippi River from the United States. While some historians characterize Jefferson as a Francophile, in this letter Jefferson sees France as a potential enemy to the United States. This lesson allows students to contextualize what will become the Louisiana Purchase prior to its acquisition by viewing the Purchase through a lens of national economic and military defense rather than an act of territorial expansion. As Jefferson considers the possibility of an aggressive France led by Napoleon Bonaparte on America’s doorstep, he states, “…perhaps nothing since the revolutionary war has produced more uneasy sensations through the body of the nation.” Original spellings and punctuation are retained. This lesson is divided into two parts, both accessible below. The text is accompanied by close reading questions, student interactives, and an optional follow-up assignment. The teacher’s guide includes a background note, the text analysis with responses to the close reading questions, access to the interactive exercises, and the follow-up assignment. The student’s version, an interactive PDF, contains all of the above except the responses to the close reading questions and the follow-up assignment. In 1801 the United States was rapidly expanding westward, well past the American boundary of the Mississippi River and into what was known as the Louisiana Territory. The Territory, approximately the middle third of what would become the continental US, saw the beginning of French settlements as early as 1682, but France lost the territory to Spain in 1763 after the French defeat in the French and Indian War. In 1800, Napoleon Bonaparte (1769–1821) forced Spain to sign the secret Treaty of San Ildefonso, giving the Louisiana Territory back to France. When word of the Treaty of San Ildefonso leaked out, US President Thomas Jefferson became concerned, as you will see in this private letter written April 18, 1802, to Robert Livingston, his foreign minister in France. American farmers and merchants depended upon the Mississippi River and the port of New Orleans to get their goods to market: remember, at this time there were very few roads and water travel was vital. Through the 1795 Treaty of San Lorenzo (also known as Pinckney’s Treaty) Spain had agreed to let the US use these areas without paying export taxes. But after 1800 Spain no longer owned these areas, and so the Treaty was no longer in effect. Anticipating that a French army might land at any time to take control, America prepared to defend itself and take New Orleans by force, even though the new nation was still weak and vulnerable, and a French landing force would force the US to ally with Britain for protection. Fortunately for the US, French troops were attempting to quash the Haitian Revolution and did not land as expected. Rather than go to war, President Jefferson offered to buy New Orleans and West Florida for up to $10 million. He sent James Monroe to help Robert Livingston negotiate the sale, and if that was not possible, they were to negotiate rights to use the port of New Orleans (called “rights of deposit”). They were amazed when Napoleon offered the entire Territory for sale in exchange for $11.25 million and the forgiveness of $3.75 million in French debt. But there was a catch. Napoleon needed the money immediately to help fund a war with Great Britain. Jefferson had serious doubts about whether he could move forward with an outright purchase — the Constitution did not grant the president the right to negotiate this kind of property deal. Federalists, the political party opposing Jefferson, objected to the purchase as well, since they had already become a minority in the Congress and more territory would mean spreading out political power and weakening them even further. In addition, provisions of the Purchase Treaty required that all those, excepting the Native Americans, living within the Louisiana Purchase become American citizens, implying that these areas would eventually become states. Did the President or Congress have the authority to bring into the country whole groups of people who were outside America’s boundaries? No one knew the answer. But the idea of doubling the size of the US as well as making sure that a military power like France did not border the US across the Mississippi River won the argument. Jefferson called Congress back into session three weeks early in order to ratify the Purchase Treaty. The actual boundaries of the Louisiana Territory were not specified in the sale, as much of the territory had not been mapped accurately, but the Treaty sold to the US the Mississippi River and all its western tributaries, approximately 828,000 square miles. 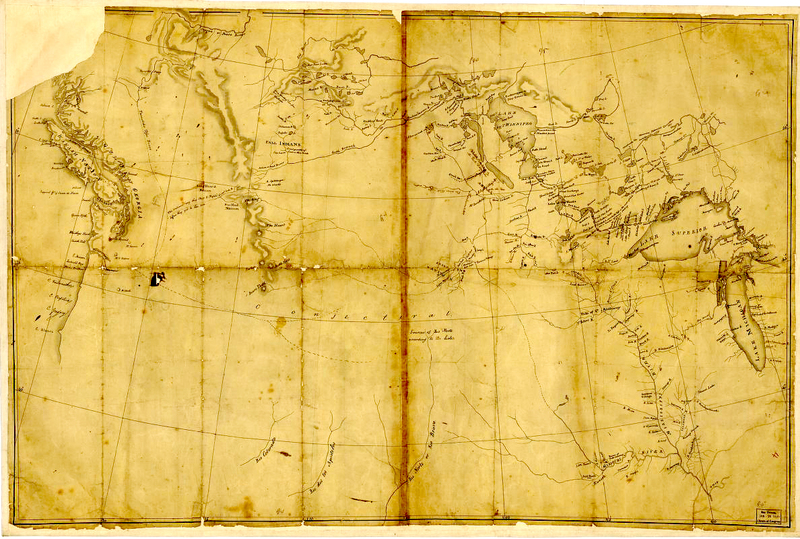 Lewis and Clark map, with annotations in brown ink by Meriwether Lewis, tracing showing the Mississippi, the Missouri for a short distance above Kansas, Lakes Michigan, Superior, and Winnipeg, and the country onwards to the Pacific. What happened to the Louisiana Purchase? President Jefferson sent Meriwether Lewis and William Clark to explore and map the northern part of the Purchase in 1804. Their two-year mission resulted in more accurate maps, knowledge of previously unknown Native American tribes, and an extensive natural history survey of the continent. Their journey, known as the “Corps of Discovery,” would be used as a rationale for US Manifest Destiny in the years to come. Two future treaties, the Treaty of 1818 and the Adams-Onis Treaty of 1819, helped to confirm the boundaries of the Louisiana Purchase, and the Purchase itself would eventually become all or part of 15 US states and two Canadian provinces. Jefferson sent this private letter to Robert Livingston before he knew that Louisiana was for sale. As you analyze the text pay attention to reasons why Jefferson believes that the exchange of ownership of the Louisiana Territory from Spain to France poses such a threat to the US. Even though Jefferson had always been a supporter of France, note how he concludes that French control of New Orleans could mean that France would become America’s enemy. Look for Jefferson’s arguments supporting American control of Louisiana. 1. Why does Jefferson believe that the fact that Spain ceding Louisiana and Florida to France “works most sorely on the US”? 2. According to Jefferson what has been the previous relationship between the United States and France? 3. Which city on the North American continent does Jefferson believed is crucial to the United States? Cite evidence from the text. New Orleans is the city, for “there is on the globe one single spot, the possessor of which is our natural & habitual enemy.” This implies that it is critical that the US possess the city, for if anyone else possessed it they would be the enemy of the US. 4. Why is this city so important? Jefferson states, “The produce of 3/8 of our territory must pass to market, and from it’s fertility it will ere long yield more than half of our whole produce and contain more than half our inhabitants.” The city is critical for getting US goods to market, growing crops, and providing areas for settlement. 5. Why did Jefferson not see the Spanish control of New Orleans as a threat? 6. Why does Jefferson feel that France poses such a threat? Cite evidence from the text. 7. Regarding US foreign policy, what does Jefferson see as the logical effect of France taking possession of New Orleans? 8. In sentence 16, how does Jefferson predict that French control of New Orleans would affect the United States? 9. Why does Jefferson not desire a war with France? 10. In sentences 22 through 24, Jefferson considers a reason why France might want the port of New Orleans. What is the reason, and why does Jefferson believe it is not a valid reason? Jefferson says that France might feel that New Orleans would help in supplying French colonies in the West Indies, but this would not be practical in times of war and would not be needed in times of peace. 11. Even though he does not yet know the Louisiana Purchase is for sale, how does Jefferson propose to resolve this conflict? 12. In sentences 28 through 30 Jefferson addresses a diplomatic rumor that was circulating at the time stating that after French troops had put down the rebellion in St. Domingo (Haiti) they would be bound for Louisiana. How does Jefferson respond to this rumor? The loss of the rights of deposit in New Orleans would cripple the American economy since there were so few roads and merchants and farmers relied on river traffic to get good to market. A French presence would stifle westward expansion. The presence of foreign troops so close to the United States would pose a constant threat of invasion. Review the points Jefferson makes in his letter. (1) The cession of Louisiana & the Floridas by Spain to France works most sorely on the US…. (2) It compleatly reverses all the political relations of the US. and will form a new epoch in our political course. (3) Of all nations of any consideration France is the one which hitherto has offered the fewest points on which we could have any conflict of right, and the most points of a communion of interests. (4) From these causes we have ever looked to her as our natural friend, as one with which we never could have an occasion of difference. (5) Her growth therefore we viewed as our own, her misfortunes ours. (6) There is on the globe one single spot, the possessor of which is our natural & habitual enemy. (7) It is New Orleans, through which the produce of three eighths of our territory must pass to market, and from it’s fertility it will ere long yield more than half of our whole produce and contain more than half our inhabitants. (8) France placing herself in that door assumes to us the attitude of defiance. (9) Spain might have retained it quietly for years. (10) Her pacific dispositions, her feeble state, would induce her to increase our facilities there, so that her possession of the place would be hardly felt by us, and it would not perhaps be very long before some circumstance might arise which might make the cession of it to us the price of something of more worth to her. (11) Not so can it ever be in the hands of France. (12) The impetuosity of her temper, the energy & restlessness of her character, placed in a point of eternal friction with us, and our character, which though quiet, & loving peace & the pursuit of wealth, is high minded, despising wealth in competition with insult or injury, enterprizing & energetic as any nation on earth, these circumstances render it impossible that France and the US can continue long friends when they meet in so irritable a position. (13) They as well as we must be blind if they do not see this; and we must be very improvident if we do not begin to make arrangements on that hypothesis. (14) The day that France takes possession of N. Orleans fixes the sentence which is to restrain her forever within her low water mark. (15) It seals the union of two nations who in conjunction can maintain exclusive possession of the ocean. (16) From that moment we must marry ourselves to the British fleet & nation. (17) We must turn all our attentions to a maritime force, for which our resources place us on very high ground: and having formed and cemented together a power which may render reinforcement of her settlements here impossible to France, make the first cannon which shall be fired in Europe the signal for tearing up any settlement she may have made, and for holding the two continents of America in sequestration for the common purposes of the United British & American nations. (18) This is not a state of things we seek or desire. (19) It is one which this measure, if adopted by France, forces on us, as necessarily as any other cause, by the laws of nature, brings on it’s necessary effect. (20) It is not from a fear of France that we deprecate this measure proposed by her. (21) For however greater her force is than ours compared in the abstract, it is nothing in comparison of ours when to be exerted on our soil. (22) But it is from a sincere love of peace, and a firm persuasion that bound to France by the interests and the strong sympathies still existing in the minds of our citizens, and holding relative positions which ensure their continuance we are secure of a long course of peace. (23) Whereas the change of friends, which will be rendered necessary if France changes that position, embarks us necessarily as a belligerent power in the first war of Europe…. (24) And will a few years possession of N. Orleans add equally to the strength of France? (25) She may say she needs Louisiana for the supply of her West Indies. (26) She does not need it in time of peace, and in war she could not depend on them because they would be so easily intercepted…. (27) If France considers Louisiana however as indispensable for her views she might perhaps be willing to look about for arrangements which might reconcile it to our interests. (28) If any thing could do this it would be the ceding to us the island of New Orleans the Floridas. (29) This would certainly in a great degree remove the causes of jarring & irritation between us…. (30) The idea here is that the troops sent to St. Domingo, were to proceed to Louisiana after finishing their work in that island. (31) If this were the arrangement, it will give you time to return again & again to the charge. (32) For the conquest of St. Domingo will not be a short work. (33) It will take considerable time and wear down a great number of souldiers. (34) Every eye in the US is now fixed on this affair of Louisiana. (35) Perhaps nothing since the revolutionary war has produced more uneasy sensations through the body of the nation. (36) Notwithstanding temporary bickerings have taken place with France, she has still a strong hold on the affections of our citizens generally. The Louisiana Purchase was very controversial at the time. President Jefferson believed in a strict construction of the US Constitution — unless the Constitution specifically granted a power to the government, the power belonged to the people. The Constitution did not specifically grant the president the power to negotiate territorial purchases, but Jefferson acted in contrast to this principle in the case of the Louisiana Purchase. Why would he do this? Whether circumstances do not sometimes occur which make it a duty in officers of high trust to assume authorities beyond the law, is easy of solution in principle, but sometimes embarrasing in practice. A strict observance of the written laws is doubtless one of the high duties of a good citizen: but it is not the highest. The laws of necessity, of self-preservation, of saving our country when in danger, are of higher obligation. To lose our country by a scrupulous adherence to written law, would be to lose the law itself, with life, liberty, property & all those who are enjoying them with us; thus absurdly sacrificing the end to the means…. It is incumbent on those only who accept of great charges, to risk themselves on great occasions, when the safety of the nation, or some of it’s very high interests are at stake. Consider this tension between the strict “letter of the law,” or what a law literally states, and the “spirit of the law,” or what a law means in practice. When Jefferson negotiated the Louisiana Purchase he was extending the power of the presidency beyond the letter of the law. According to Jefferson, what are the responsibilities of the president regarding this balance between the letter of the law and the spirit of the law? How might this explain his purchase of the Louisiana Territory? Write a well-developed essay in which you defend, challenge or quality this statement: “Jefferson’s purchase of Louisiana was justified.” Share your work with your classmates. 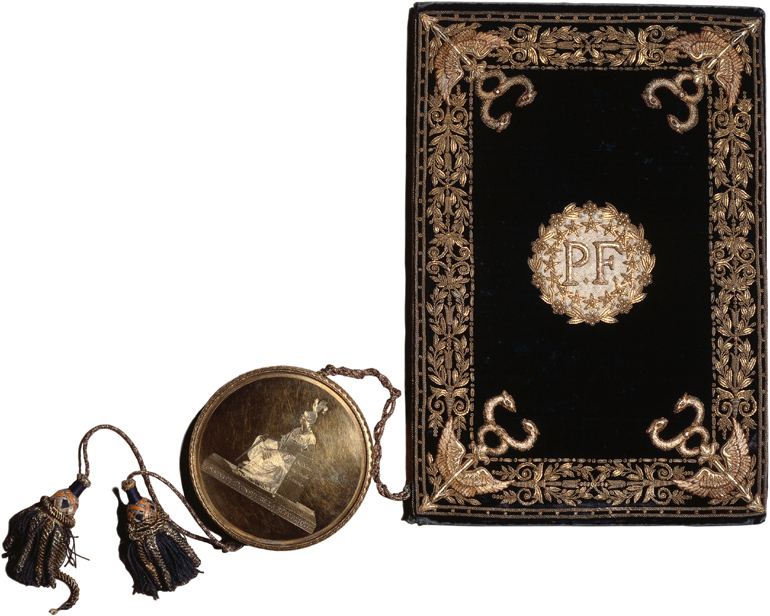 “From Thomas Jefferson to Robert R. Livingston, 18 April 1802,” Founders Online, National Archives. http://founders.archives.gov/documents/Jefferson/01-37-02-0220, ver. 2014-05-09. Source: The Papers of Thomas Jefferson, vol. 37, 4 March–30 June 1802, ed. Barbara B. Oberg. Princeton: Princeton University Press, 2010, pp. 263–267. Louisiana, Map. Samuel Lewis, 1805?. Library of Congress Geography and Map Division Washington, D.C. http://lccn.loc.gov/2001620468, accessed January, 2015. 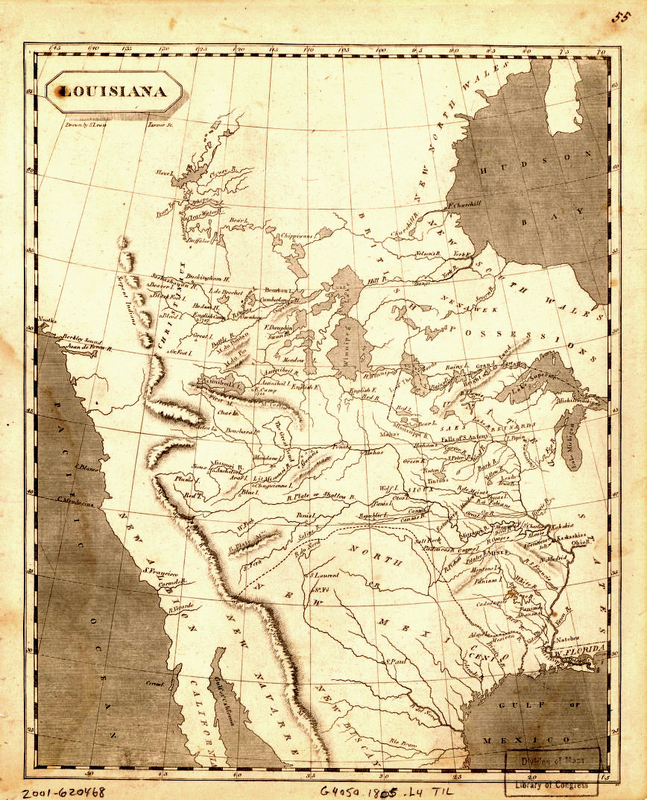 Lewis and Clark map, with annotations in brown ink by Meriwether Lewis, tracing showing the Mississippi, the Missouri for a short distance above Kansas, Lakes Michigan, Superior, and Winnipeg, and the country onwards to the Pacific, Map. N. King, 1803. Library of Congress Geography and Map Division Washington, D.C. http://lccn.loc.gov/98687178, accessed January, 2015. Louisiana Purchase Treaty, April 30, 1803 (ARC ID 299807); General Records of the U.S. Government; Record Group 11; National Archives. http://www.archives.gov/historical-docs/document.html?doc=5&title.raw=Louisiana%20Purchase%20Treaty, accessed March, 2015.